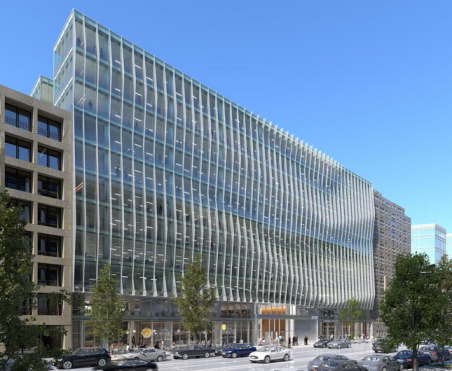 Skanska USA Commercial Development is currently developing an 11-story, 250,000-square-foot office building under a ground lease with George Washington University. 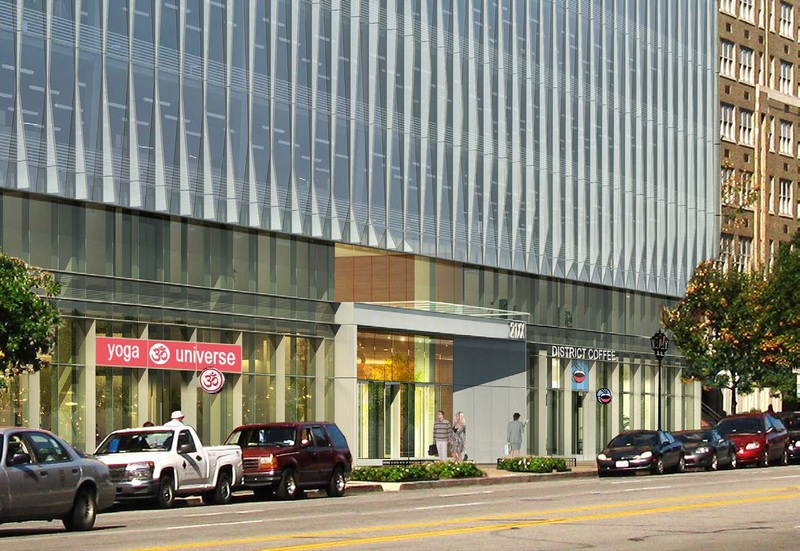 The building was designed by world-renowned architect Gensler, and will exhibit an elegant glass curtain wall façade. 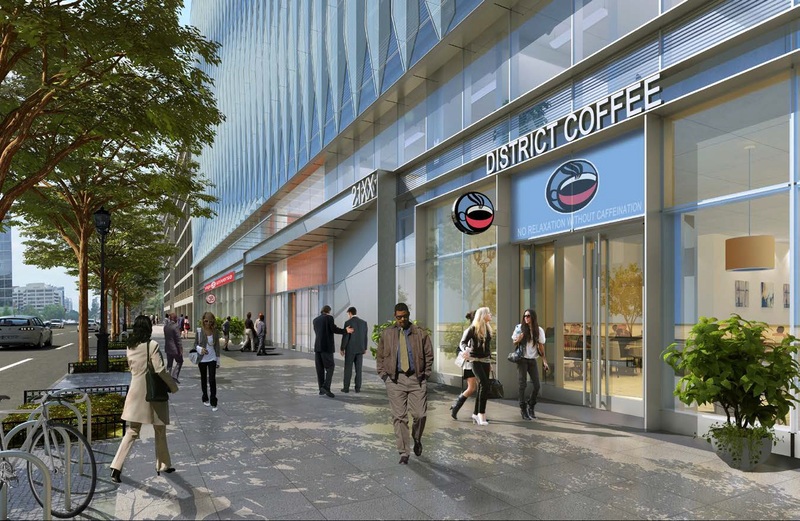 The project is located on Pennsylvania Avenue mid-block between 21st and 22nd Streets. Skanska is a pioneer in environmental responsibility and in developing innovative, efficient, sustainable buildings, and is targeting LEED® Gold certification for 2112 Pennsylvania Avenue ("2112 Penn"). The project will comprise of approximately 230,000 SF of office space and 10,000 SF of ground-floor retail space, along with a fitness center and other amenity space. Construction is starting in Q4 2015 with a completion date expected in 2018. 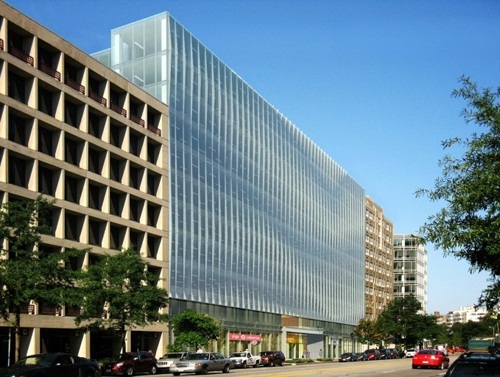 Skanska and GW worked closely together to combine seven properties, previously known as Site 75A (2134, 2136, 2138, 2138½, 2140, and 2142 Pennsylvania Avenue) and 2100 West Pennsylvania Avenue. These properties will be undergoing demolition beginning in late 2015 to make way for the newly developed 2112 Penn building. Similar to the investment practices of major universities across the country, the university has long used the income from investment properties to help fund its academic mission. The return from these investments, many of which are situated along Pennsylvania Avenue, helps to defray the costs of academic programs, facilities, student financial aid, and other expenses necessary to operate a world class university. Investment in properties on the edge of its campus helps to ensure the maintenance of well-run buildings near the campus, providing an attractive environment for the university population and the Foggy Bottom residents, as well as providing tax revenue for the District. The approved 2007 Foggy Bottom Campus Plan specifically identified the redevelopment of the Pennsylvania Avenue retail townhouses as a site (Site 75A) for either a future commercial/investment or academic/ administrative/medical use. As part of the first stage approval of a Planned Unit Development related to the Campus Plan, the site was rezoned C-4 and approved for up to 130’ height. During the second stage approval process, The university amended its first stage application for Site 75A to also include and rezone 2100 West Pennsylvania Avenue, the adjacent office building that was formerly occupied by Kaiser Permanente. As a key public benefit of the zoning approval, GW agreed to rehabilitate three existing uninhabitable row-houses located at 2142, 2146, and 2150 F Street, N.W. into seven units of affordable housing. Other public benefits include (but are not limited to) landscape improvements to the adjacent President Condominium, contribution to rent office space for the Foggy Bottom/West End Village, funding for a fellowship position at the Francis-Stevens Education Campus, contribution to the Francis-Stevens Parent-Teacher Association and additional tax revenue for the District of Columbia. The university filed its application to the DC Zoning Commission in February 2012 and presented this project to the DC Zoning Commission at a public hearing on November 15, 2012. The DC Zoning Commission took final action to approve the Application on February 25, 2013 and the Order of Approval was published in DC Register on June 21, 2013. Skanska and GW formalized their agreement in 2014 and it was finalized in October 2015. For more information on the project, please visit 2112penn.com. The university worked closely with the Office of Planning historic preservation staff to develop a comprehensive Historic Preservation Plan for the Foggy Bottom Campus during the drafting of the 2007 Foggy Bottom Campus Plan. The historic plan ensures that appropriate campus resources are identified, preserved and maintained while accommodating the university’s forecasted space needs. The plan proposed a historic district on the campus, as well as the naming of additional landmark campus buildings to those already identified. The University is committed to maintaining the diversity of its building fabric on campus through the identification, maintenance, preservation and adaptive reuse of architectural and historic resources, including the resources in the pending historic district. The row houses on Square 75 were not identified as historically significant during that process and were subsequently approved for redevelopment in the Campus Plan.